Pat was devastated. The 87-year-old, who had been living in aged care for the past seven years, had experienced a recent change in health and was now receiving palliative care. She realised that she was too frail to travel to Melbourne for her grandson's wedding. Learn how Beate Steller, a spiritual care practitioner at Pat's aged care home, was able to support Pat to virtually attend her grandson's wedding, along with the whole community! Maintaining connections with friends and family is a vital aspect of living a meaningful life. Tech-Connect is a guide to supporting these meaningful connections, using person-centred care alongside social media and other communications technology. 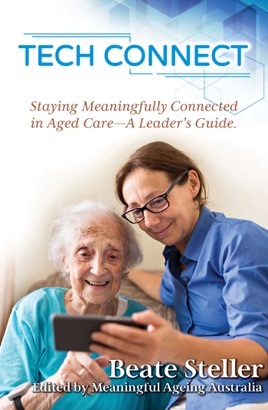 Tech-Connect is for aged care professionals who are passionate about supporting the emotional and spiritual needs of older people in their care.